There is an object near you right now that is extremely technical. Maybe it’s in your pocket, or in a holster on your belt. 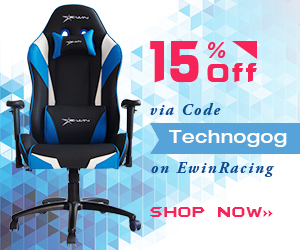 Perhaps sitting on your desk, or in your purse or near android tv box. It could even be in your hand, showing you these words right now. It’s lurking with you everywhere you go, and the invisible signals that make it work are pummeling your body from every direction millions of times per day. It is a marvel of human invention, and has used its power to change the daily lives of modern people. It is (bum bum BUM!) a cell phone. Now that the silly dramatic intro is out of the way, let’s get down to chickens and coops. These days, just about everyone has a cell phone. Little kids, elderly folks and your average Joe Johnson all carry them for one reason or another. The convenience is undeniable, and as smart phones progress, their usefulness is extending miles beyond the simple ability to call people. 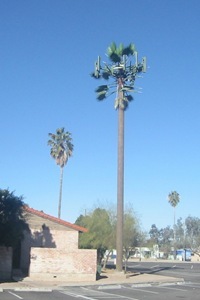 The effect of phenomenon this is the prevalence of huge cell towers now found all over the worldwide landscape. What do you think of when you see a cell tower? Probably not “Ooohh, look at how pretty that is.” Cell towers (also known as cell sites, BTS, phone masts or base stations) are huge and ugly, but we rely on them every day. Though we usually see them that way, they don’t have to be mounted on large poles or metal structures. It is not uncommon for them to be on building rooftops, water tanks or other stealth cell sites; a practice even more common in Europe. A lot are even hidden inside church steeples, palm trees or other inconspicuous objects. 150-300 feet is the average height of the placement. Multiple cellular providers (Verizon, AT&T, etc.) will utilize the same structures for housing their equipment. The equipment involved includes radios, antennas for receiving and transmitting RF (radio frequency) signals, computerized switching control equipment, GPS receivers, power sources and protective cover. 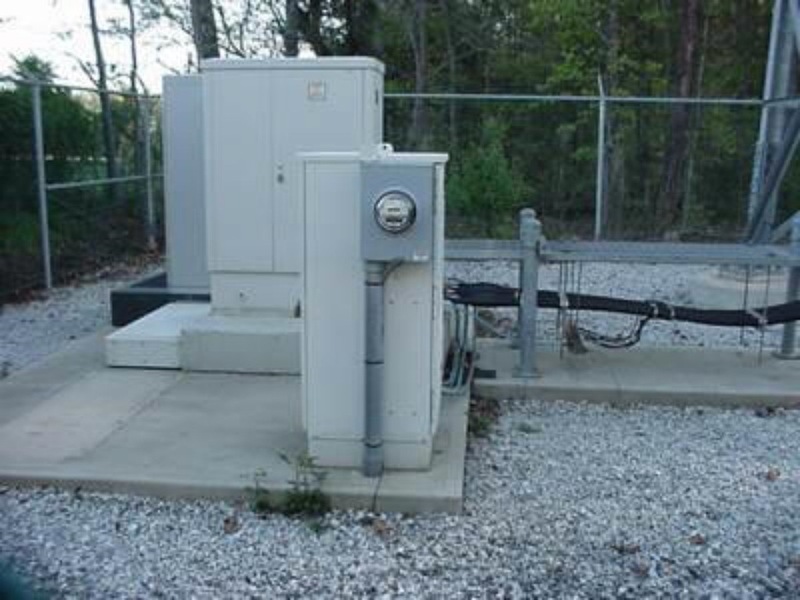 The equipment that operators frequently need to access is kept in boxes at the tower’s base, where they run to the antennas via heavily grounded cabling. So, what happens when you pick up that phone and make a call? 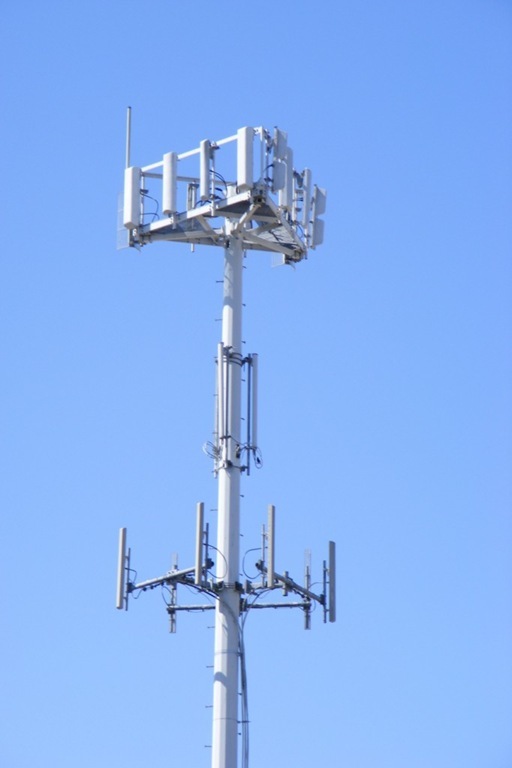 How does the cell tower intercept, interpret, and execute the signal? You phone is always aware of the nearest tower. You see it in the form of signal strength. What those little bars really represent is the connectivity between you and the nearest tower that will be providing you service. When you make a call, the radio signal emitting from your phone hunts down the nearest tower and tells it you want to do something. Cell phone signals run in the radio frequency of the electromagnetic spectrum; the same area as AM and FM radio, where non-ionizing radiation is formed that is too weak to harm anything. The receiving antenna mounted on the nearest tower for your carrier picks up your radio signal, and the process of finding your caller begins. The base station assigns your call an available frequency channel. Assigning a channel ensures other calls won’t overlap (so you won’t hear other people and they won’t hear you), and makes your call individually recognizable in the computer systems. There is a ridiculous number of frequencies available within the radio wavelength, which makes it possible for all sorts of people to talk at once using the same cell tower. (Click here to learn about radio waves – http://www.windows.ucar.edu/tour/link=/physical_science/magnetism/em_radio_waves.html) At this point, the voice data in the call is translated by the station and the signals are carried via fiberoptic line to a wireless access point connected to a switching center. The switching center operates much like an automated version of a switchboard from back in the day – there just aren’t dozens of young women on stools flicking the switches anymore. Calls are generally routed to a land-based T3 line laid underground in order to reach their destinations, but sometimes back up to a wireless antenna signal if the ground connection is poor (or nonexistent). 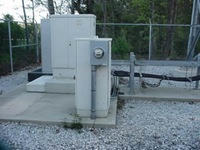 These wired connections are more solid and trustworthy, which is why they are the preferred method of transmission. If the call destination is a land line, it could stay in physical wires for the rest of its travel. If it is another cell phone, it will eventually have to make its way back to another tower and out through a transmitter. When you speak with someone else or receive data, the call data reverses this whole process back to the tower you are using and sends the signal back to your phone. Even if you are on the go. If you aren’t staying still, for instance if you are talking while driving, you will eventually leave the range of your cell tower and require a new one. You’ll go outside the cell for which the original tower is responsible – which is why they are called cell phones – get it? Fortunately for you, another cell site is able to receive a hand-off from the original tower to keep the process flowing smoothly and keep the call going. Hand-offs are possible due to most of the world’s cell towers using the same standards for communication (the GSM). Don’t forget one very important fact. All of this data travel, from the moment the radio signal leaves your phone to the moment it comes back is happening in less than a split second, thousands and thousands of times over again. Occasionally it will fail, though, and then you have a dropped call. 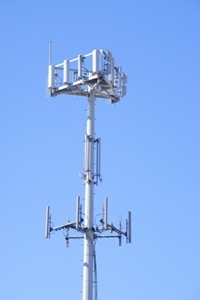 When you look at a cell tower, you’ll often notice multiple triangular platforms going up the pole. Generally, these each belong to separate carriers. With triangular platforms, each point can cover 120 degrees, and each point can be divided to 40 degree bits. These divisions help pinpoint exact phone targets and ensure better signal strength between phone and tower. Towers with white dishes are microwave backhauls. Cell sizes differ within GSM networks, mainly depending on where the equipment is placed and the conditions in the area. Urban areas often have cell equipment below rooftop height. Equipment at roof height, or on standard high towers, can cover more ground. Cells can be as small as single buildings, and cells called “umbrella cells” can fill in the places other cells don’t cover. You make a call which is grabbed by the nearest tower. The tower assigns your call a frequency, translates it and sends it to a switching point. It is sent via wires (or sometimes wirelessly) to the destination. The same happens in reverse to get the call going both ways. Hand-offs between towers happen if you are moving so your call keeps going. Knowing this won’t make you the next Alexander Graham Bell, but it may give you a little more knowledge into how cell towers work than “by the power of the Lord.” Hopefully you now know a little bit about how the tower handles the call, what the parts of the tower do and why there are so many of them around. Next time you pick up your cell and dial out, think about the huge amount of work and travel being done in the blink of an eye. It’s fantastic. 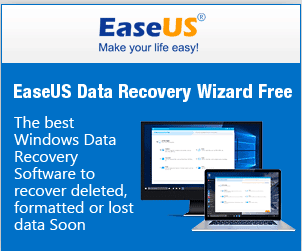 Did you know with a super fast cell phone network now you can access all your android apps remotely from anywhere on any device by loading Bluestacks onto hosted citrix xendesktop from CloudDesktopOnline with add-ons like Office 365 Enterprise E3 suite powered with 24*7 top-notch support from Apps4Rent. would like to know if cell towers are ground? Is there any software for Windows Mobile phones that will show me my current signal info, network, even channel? If the closest antenna array on a tower is from AT&T and I don’t have an AT&T phone, will my phone use that antenna? Or will this result in roaming or no service? Or specifically, if my neighborhood has terrible cell service and AT&T puts in a monopole with their antennas (and no one else collocates) will this improve service for the customers who don’t have AT&T? Kelly: It depends on what carrier you have. AT&T uses the cellular technology GSM and UMTS if you live in the U.S. which, I assume you do and you have a T-Mobile phone then that phone would communicate with AT&T’s towers to get service which would result in roaming charges. To answer your question though your phone would communicate first with the tower of whatever cellular company you get your service from first before communicating with another company’s tower, regardless of distance from the nearest cell site. To reiterate though if there is no service from (let’s say your carrier is T-Mobile) T-Mobile then your phone would begin searching for other cell sites that used the same technology as T-Mobile (GSM and/or UMTS, which is 3G though I’m not 100% sure if T-Mobile uses UMTS or not.) However if you had Sprint as your carrier and there was no Sprint coverage your phone would start searching for other carriers that use the same radio technology as Sprint which would be CDMA. The only other carrier that I know of in the U.S. that uses CDMA is Verizon so your Sprint phone would roam on Verizon’s network. This means that only Sprint and Verizon phones can roam on each others network and the same relationship for AT&T and T-Mobile. There is currently no way for an AT&T or T-Mobile(GSM/UMTS) phone to connect to a Verizon or Sprint (CDMA) tower. However there are 4G phones which is a newer technology which includes LTE which Verizon & AT&T are running field tests of now and Sprint using Wi-Max which to my knowledge is not compatible with LTE. Which would mean in the future you would be able to use your phone (if it was an LTE phone) on both AT&T and Verizon’s networks. I get poor cellphone signal in my room. HOw can i get good reception. I am having a plan to make Signal Booster of my own.. Could you Help me how to construct it? I tried much in net but i did’t get any proper response.. Pls Help me…. how many calls make a cell tower shutdown? 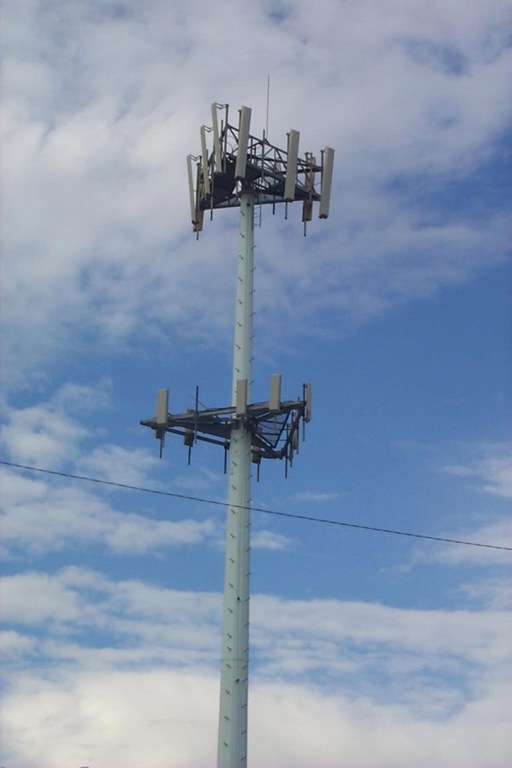 Cell towers don’t shut down from overload (in most cases) If there are too many phones trying to connect to one tower, the tower will simply stop issuing individual frequencies to phones that enter the cell. It’s basically like a first come, first serve system. some telecom company share the same mast so is it possible for a radio wave signals from two different GSM network sharing the same mast to have destructive interference resulting no signal at all …. my phone hardlyreceive any signal though there is a cell tower behind my house. Yes 2 GSM networks can cause interference and cause PIM errors, however this is included within all cell site planning and should not occur. You may be experiencing problems if you are located directly below a transmission site as the antennas have beam patterns and downward degrees of tilt. Dependent on height of antennas you may not have god signal strength for 60-100mtrs away from the structure. Can you explain how tower to tower transmission occurs and can you name different parts of a tower? 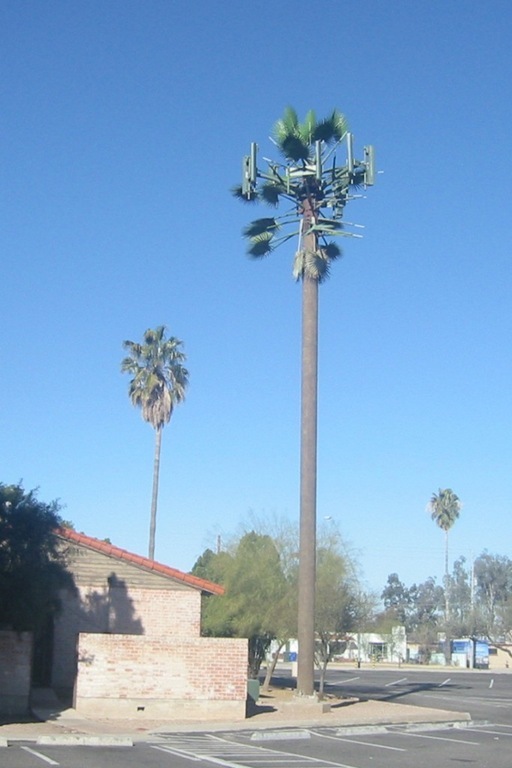 Might anybody know how many of these Cell towers (cell sites, BTS, phone masts or base stations) there are worldwide? I want to know how the cell phone carriers are able to charge each users for using air waves and how we can overcome this technicality. When I turn on my radio, I can listen for days and I’m only charged for the electricity that comes through the house. If I stay away from “paidTV” I can watch what I want which is basically news and weather at no charge and of course if I want to watch a “current” movie…I can rent a dvd. I want to be able to use a communication device without being charged monthly for it. Cell phones transcieve, which mean they transmit AND recieve. The switcher at the base station can guage your data usage because of that. 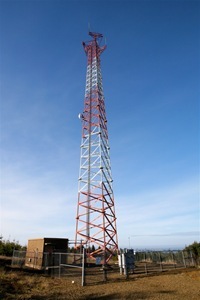 An AM/FM radio tower and TV transmission towers simply transmit, they do not recieve. hi just want to no – if i was to call my friend using my cell phone who was located in the same area would my friends phone be located by the same tower or would it just be my signal at the tower?? basically would my friends phone no where he is?? If you are not mobile is it possible for your phone to ping on different towers? thanks! Well, what component in the tower actually “generates” the microwave signal? Hi, can you write an article about CDMA/EVDO?? thanks.